Do you want to combine your diving experience with a longer stay? This is possible at in one of the homes we manage. You can stay between the locale people or in a more luxurious house in the neighbourhood of the dive shop. The house Dokterstuin for 4 persons. The house is located only a few drive minutes away from the amazing beachfront and the deep blue Caribbean Sea. 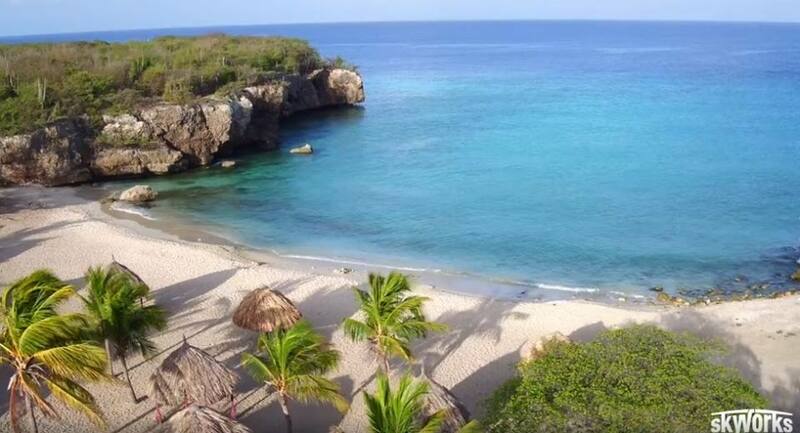 magnificent view over the Caribbean Sea from just about every spot..
Those people who would rather avoid crowds and enjoy pure relaxation during their holiday on Curacao can easily stay and have a wonderful time at the house. This can be in perfect combination with a diving experience with Divers Republic at the beautiful beach Daaibooi with a coastal strip along the azure Caribbean Sea.